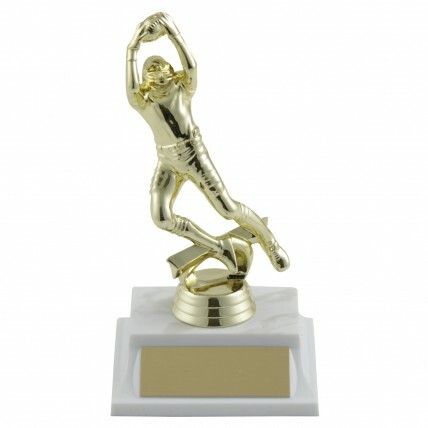 Award our Diving Catch Wide Receiver Football Trophy to a one-of-a-kind football player. This exceptional award depicts a male receiver diving for the ball and saving a catch! 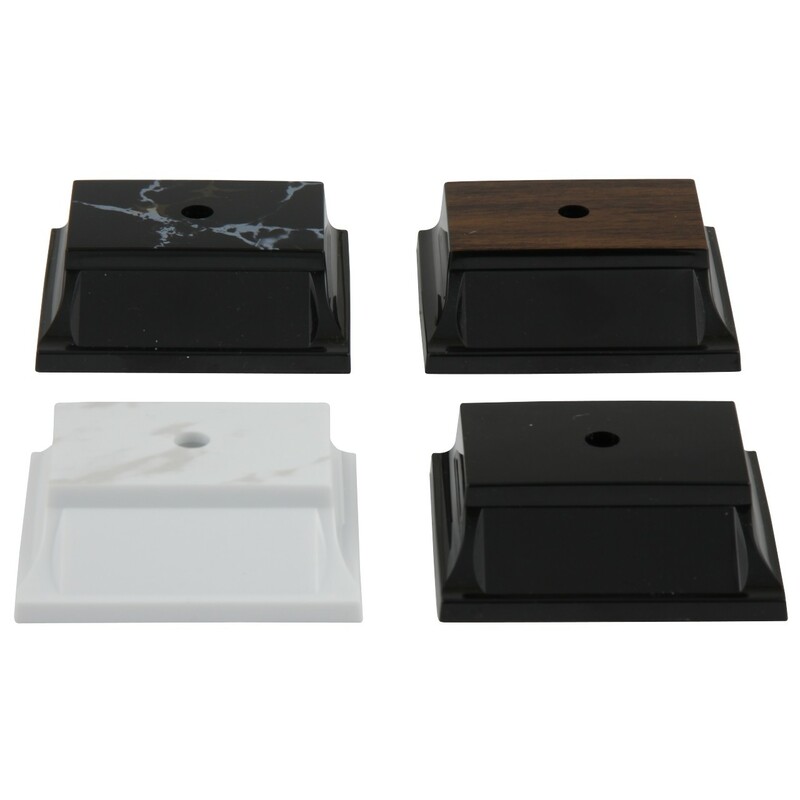 The receiver is a gold-tone figure posed on your choice of base color.